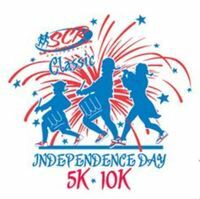 Join the Santa Clarita Runners for our 37th Annual Independence Day Classic including 5K, 10K, and "Kid's K" events. Proceeds benefit the 6 Santa Clarita Valley High Schools and other charities. The 10K is an out and back traveling along the South Fork Trail while the Kids K and 5K will travel along the City of Santa Clarita's 4th of July parade route, ensuring one of the best cheering sections in southern California. For those planning to race both the 5K and 10K a discounted entry is offered, however the 5K begins promptly at 8:00AM, 60 minutes after the 10K start. Please plan accordingly. Register early as there are limited supplies of technical shirts and goody bags for 5K and 10K participants. These are only guaranteed for registrants prior to 6/13/19 only! Last year's 5K was a 100% Sell Out! All finishers will receive a finishers medal. 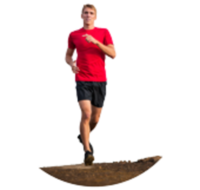 5K and 10K awards include overall male and female and 3 deep in age groups.